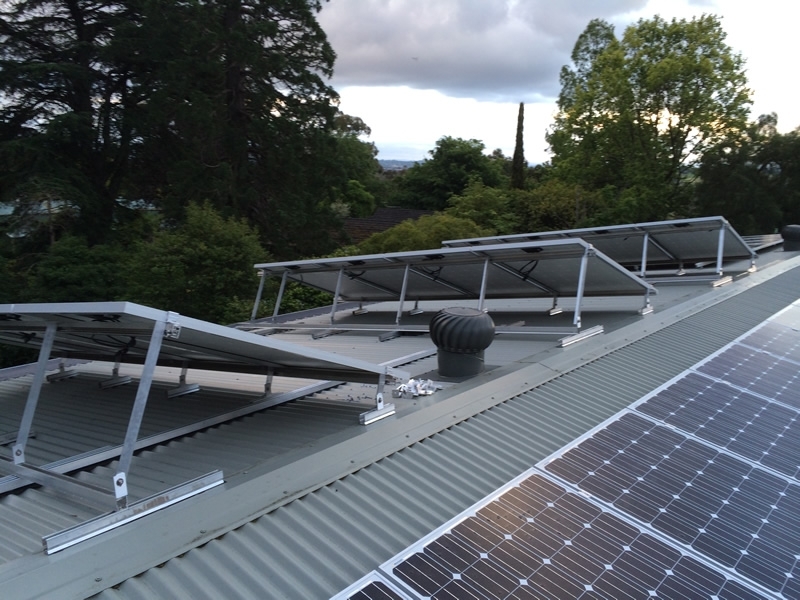 This project has 56 Smart Modules from Upsolar, they have Tigo Energy DC optimisers embedded in the solar panels, this gives the customer a better more efficient and longer string capability. 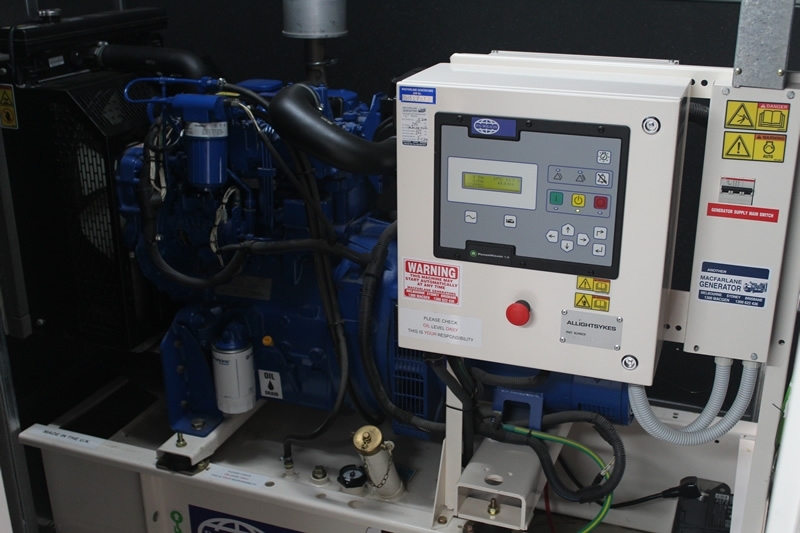 With Tigo you can monitor each panel and the whole system to see performance and any faults should they arise. The modules talk wirelessly to a gateway and control unit which can then be accessed by an app or by any internet connection, have a look at the link for an example of a large system. 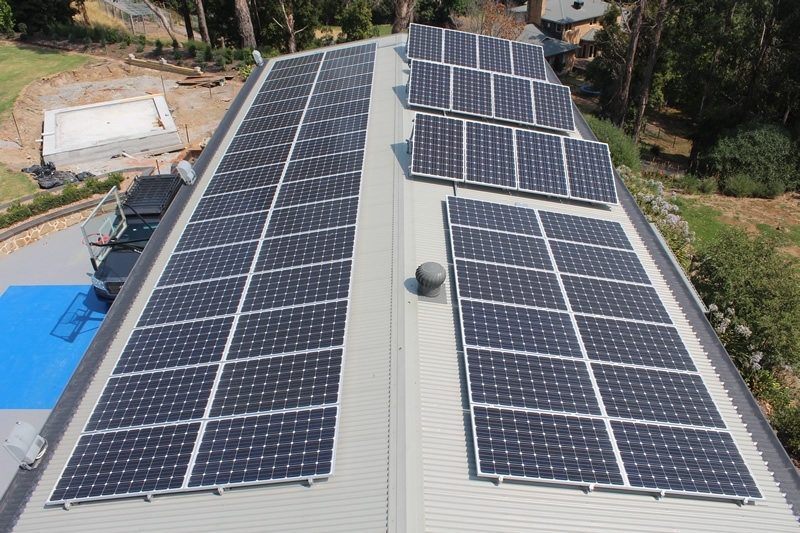 This system has shown it can produce 100kwh / day on a summer day. 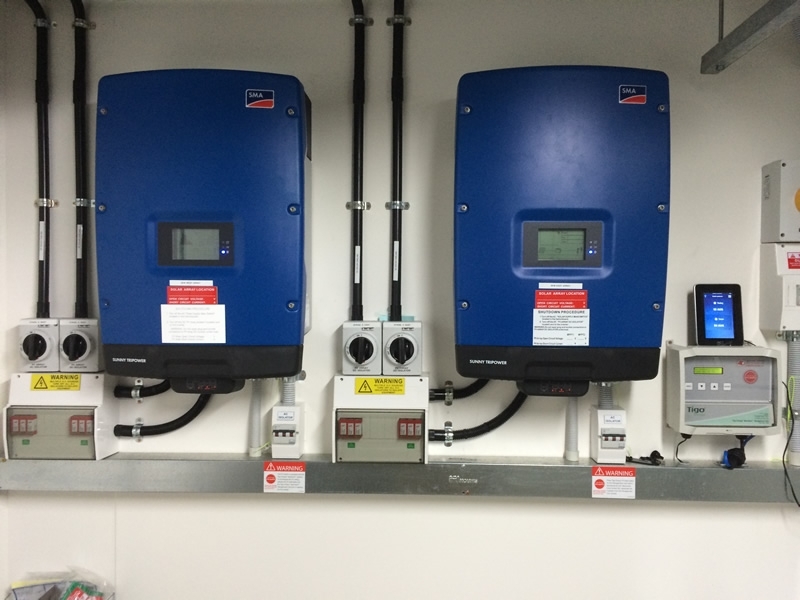 We have also used SMA 3 phase inverters, there is 6kw on the west side and 8 kw on the east side. 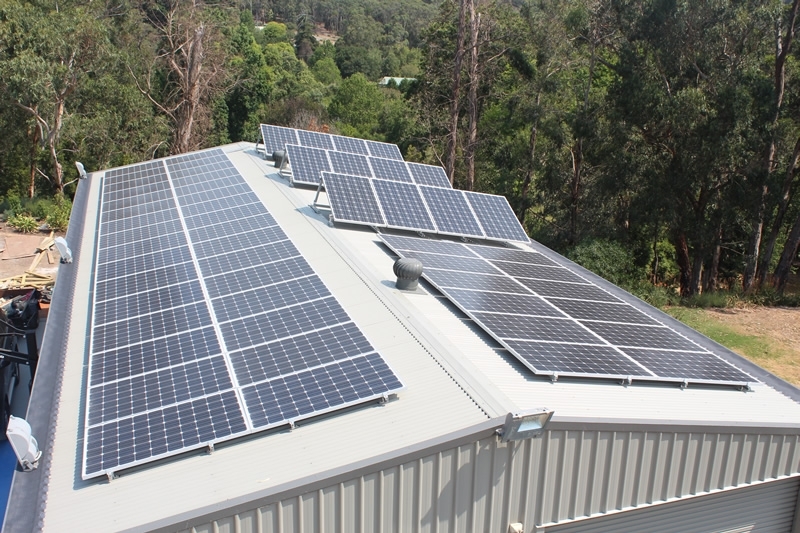 We also have installed a automatic generator setup as grid supply is often not available, the next stage will be a storage system and then they will be off grid and fully independent if required.